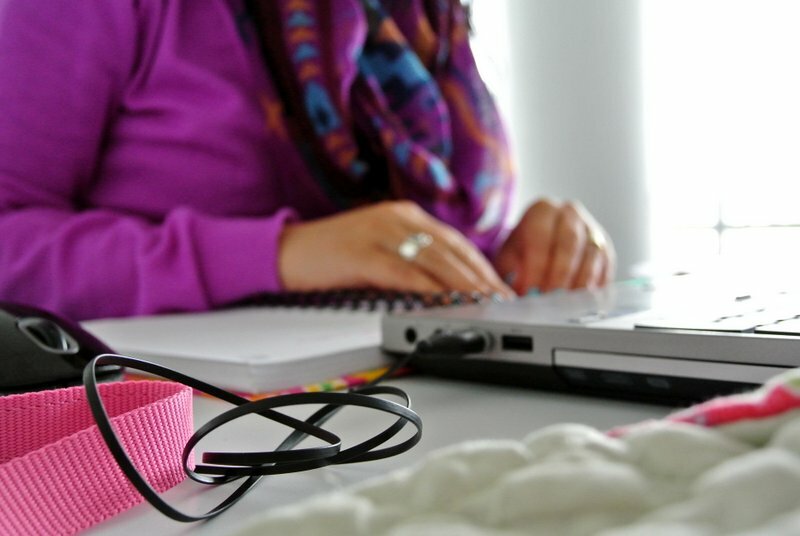 5 favourite posts about…. stationery! I’ve always had a huge love for stationery so this time of year is one of my favourites because of the back-to-school sales. 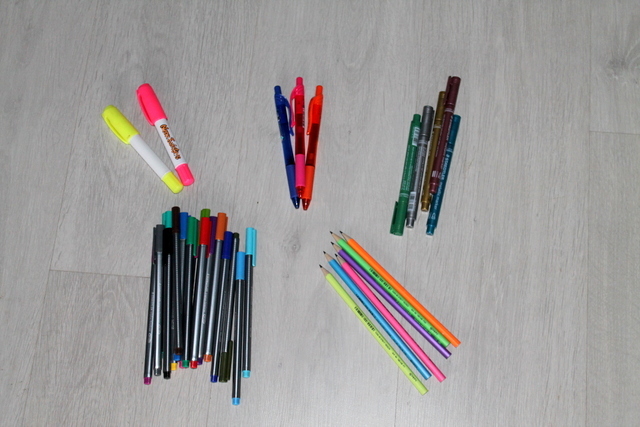 Basically I justify things to myself to get some stationery. By the way, a tip. 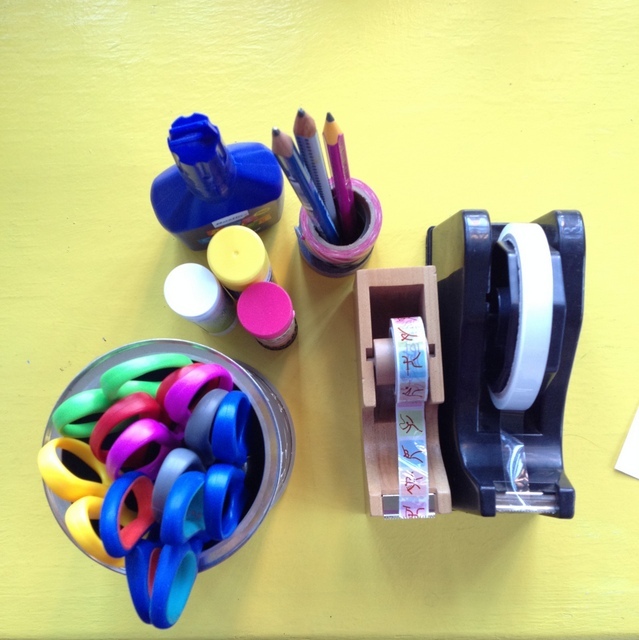 If you want the kids to take care of the stationery, announce that it is all yours! They need to ask to use it (always say yes!) and pack it away in its place afterwards (separate from their stuff). 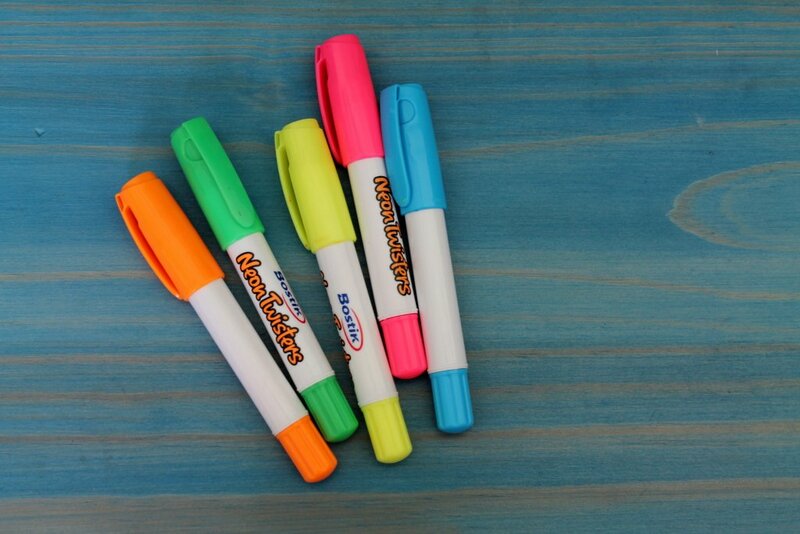 I wrote this post in 2014 and I’ve been using those same 5 highlighters for the last 2.5 years. I’ve just started a new box. 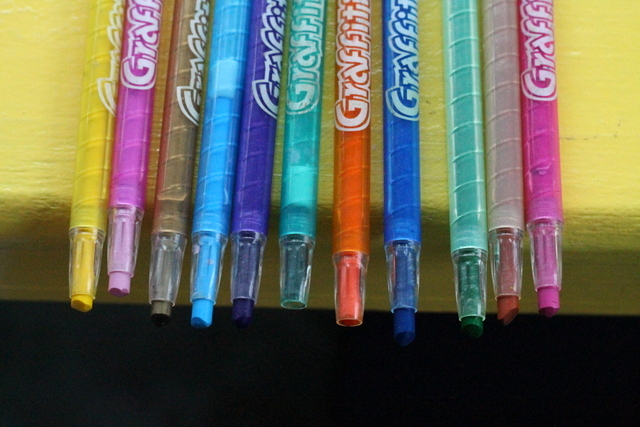 These are still my very favourite pens. Pick and Pay has the pink ones for R20, and blue and green ones for R17 each. and I still love these pencils. 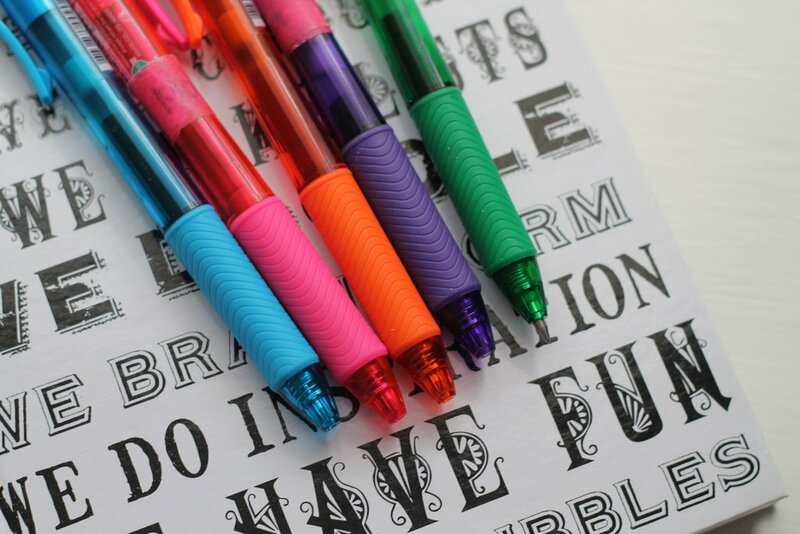 I washi’d them to make them even more fun 😮 Recently I bought myself some of those WOPEX pencil crayons (colouring pencils) too and they are so lovely to the touch. 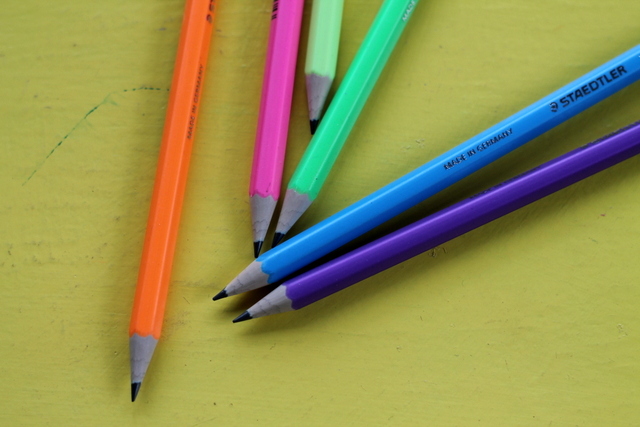 Fun fact – each kid needed 48 pencils for school. 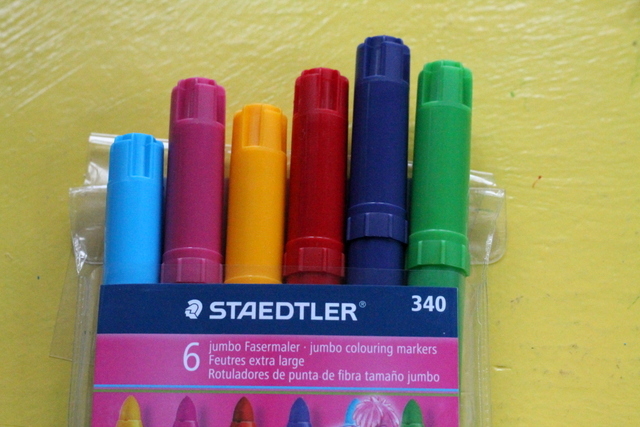 I bought a combination of Staedtler and Bic, purely because CNA ran out of the Staedtler pencils. Ha! Now tell me, do you have a favourite post? Did you see something you want to try? Tell me in the comments and I’ll tell you where to get it at the best price. 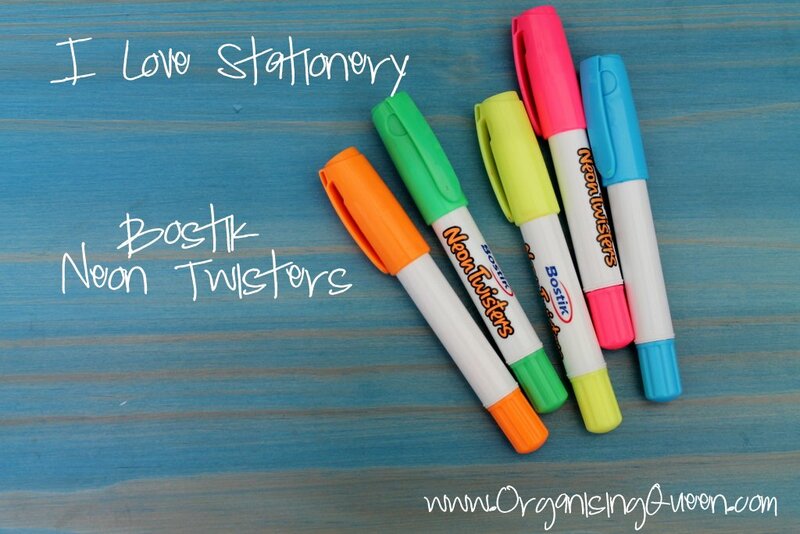 Tell me about any stationery finds you’ve discovered and loved in the last while. 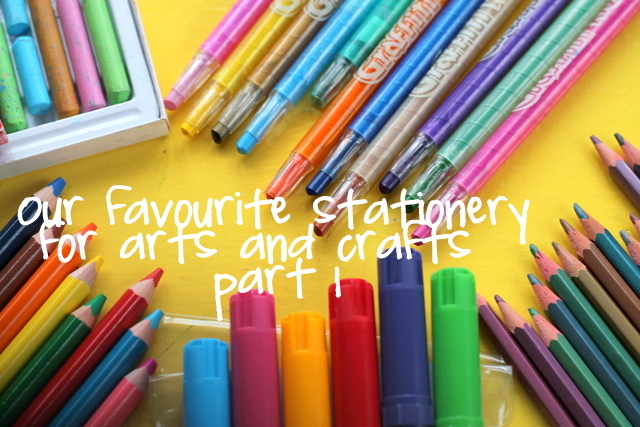 I loved all the comments on that post – have a read if you like stationery. But for now, let’s talk about a part 2. Particularly, left-handed scissors. I have a leftie and Staedtler makes these wonderful scissors (or so I’m told). They’re about R15 at CNA when they’re not on sale. I love that they look different to the right-handed ones. 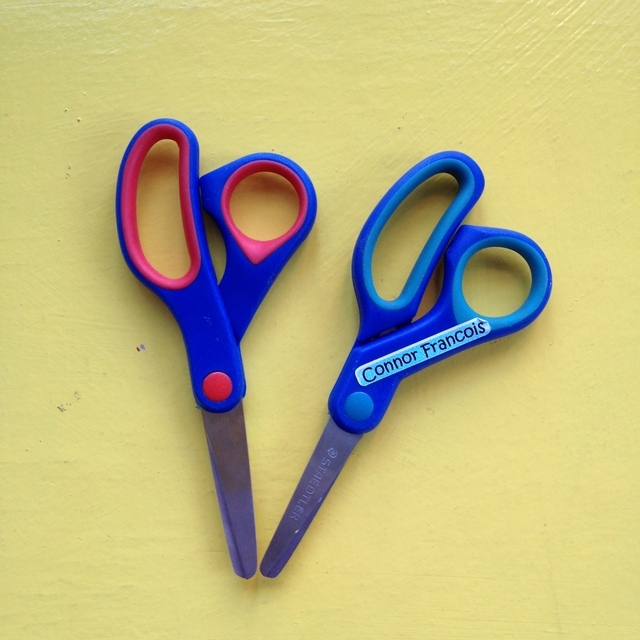 My kids also like to play with craft scissors. I bought this pack of 6 about 5 years ago, and they’re still going strong. These are more difficult for Connor but he makes them work, especially with project board. Oh man, my kids love tape. I’ve been known to say that a roll of sellotape is the cheapest babysitter out there. R4 a roll at Pep Stores… I buy them at least 2 – 3 rolls at a time. My kids can go through a roll in one sitting. Try This at Home – don’t say a thing. Just find an empty table. Toss a roll of tape on it, some scissors and some paper from the recycling. When you look again, your kids will be cutting, pasting, and taping up a storm. 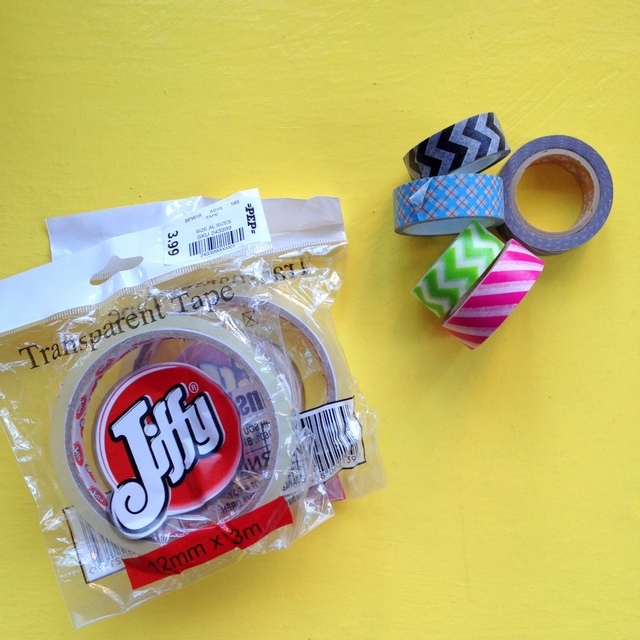 Of course, washi tape is extra-special. I don’t let them at the washi for just anything. After all, washi costs about R30 a roll. But for birthday and thank-you cards, I let them go wild. For gluing things like buttons, fabric, wooden scrapbooky things, googly eyes, foam, etc. 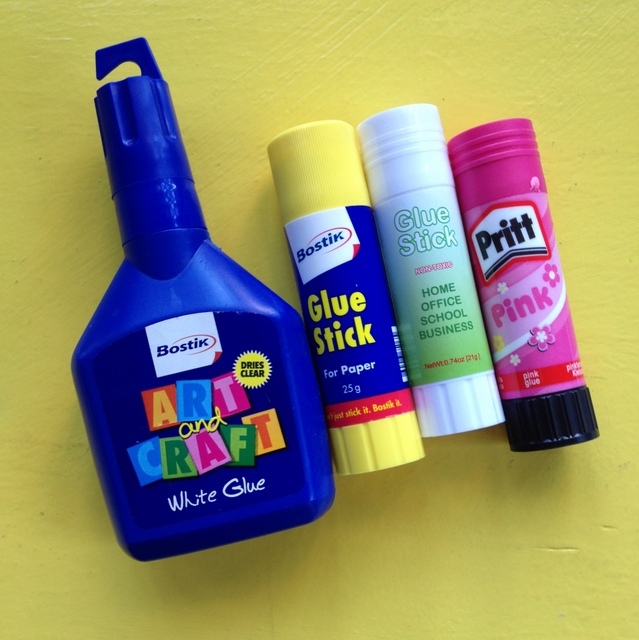 the Bostik art and craft white glue is my favourite glue by far. I love it. For most of the sticking going on around here – again paper, magazines and project board, glue stick is the way to go. 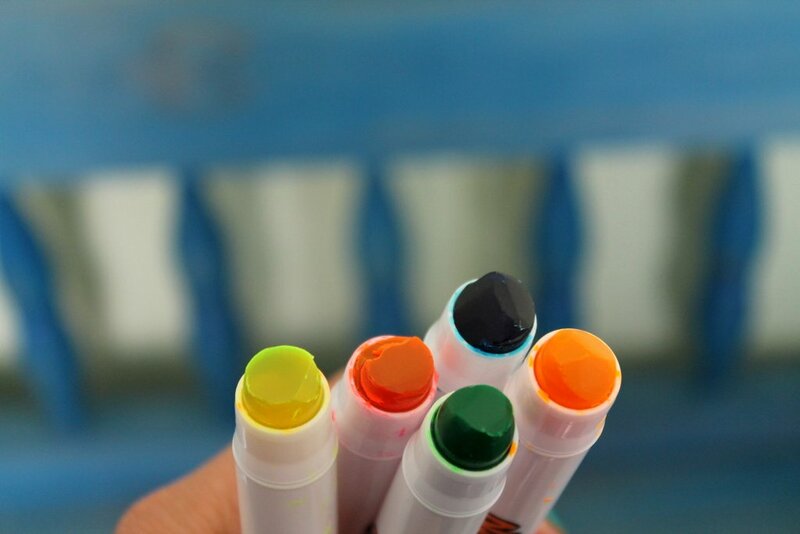 My kids go through glue stick like crazy. Any glue stick will do because nothing lasts long enough. 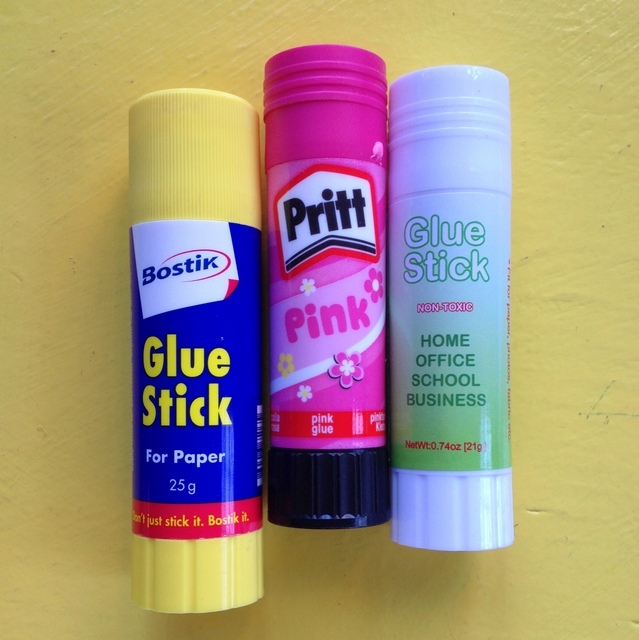 Confession – I still buy Pritt for me. The one pictured is MINE! I may be biased but I think handwriting looks neater if the point of the pen or pencil is thicker. Look at the pencil on the right vs the normal-sized one on the left. 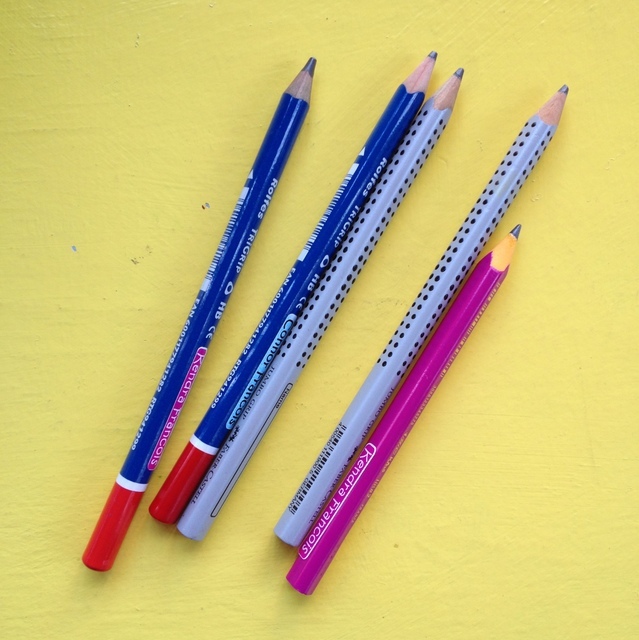 The blue ones are Rolfes which the kids currently use for homework, my personal favourites (and Kendra’s!) 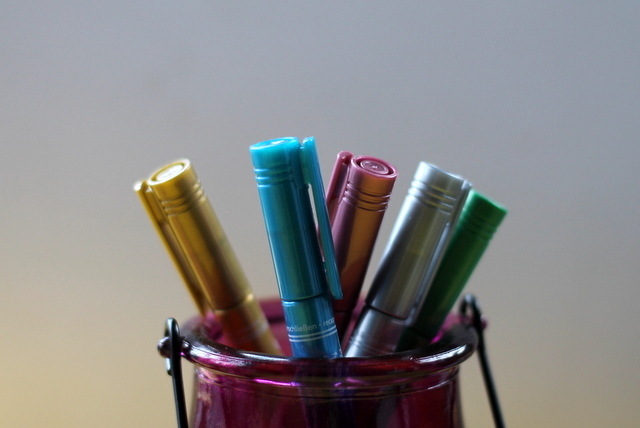 are the silver-grey Faber Castells (I love those tiny rubber grips on the pencil – I actually need to dedicate a post to Faber Castell because I have a marker I bought when I was at Rhodes University 24 years ago that is still going strong!) and then recently, I bought those pink ones. They’re from Bic and come in a set of two. Do you use any of these items? PS Happy Valentine’s Day for Sunday. 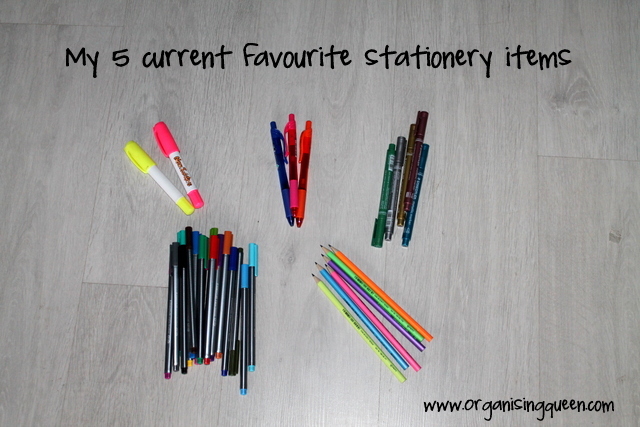 Today let’s talk about my favourite 5 stationery finds. 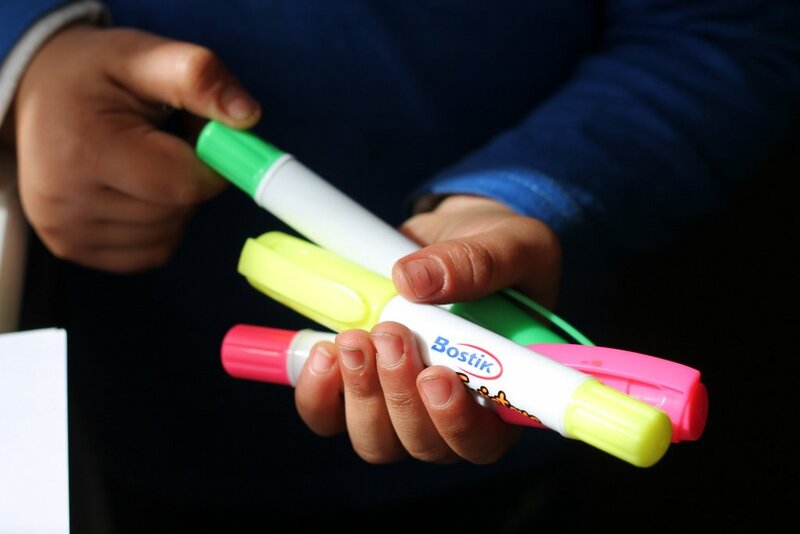 I spoke about them here and I included one in each Let’s Do This workshop pack, and the delegates agreed with me – these are indeed the best pens in the world. 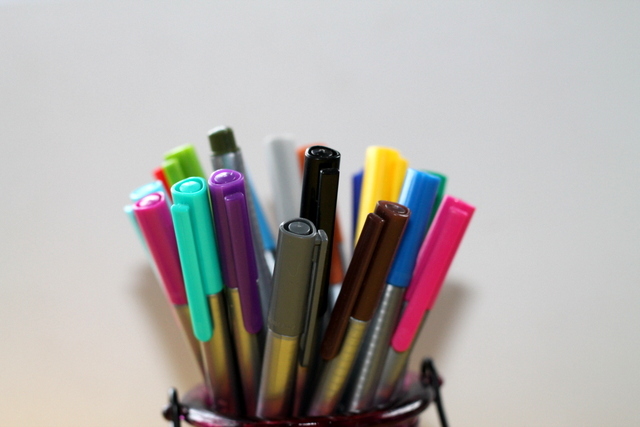 Warning – if you use them at work, label your pens because they might find feet. My favourite colours are the pink and orange, and the sky blue. 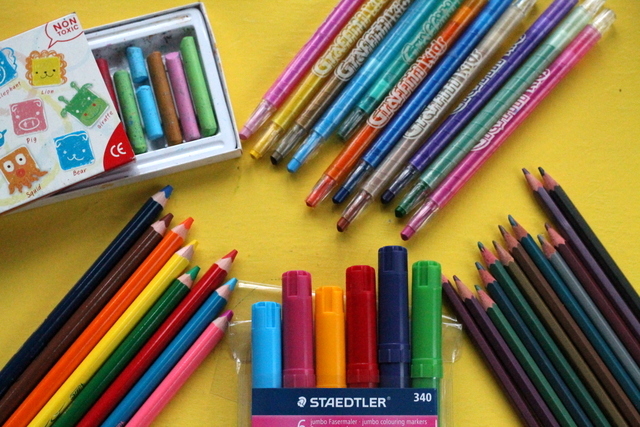 I’m not really a pencil person but I bought this pack because the colours were bright and happy, and then once I opened the pack, I realised they feel amazing to the touch. I’m a very tactile person and these pencils have a bit of stick to them and they almost feel magnetic when you grab the whole bunch. 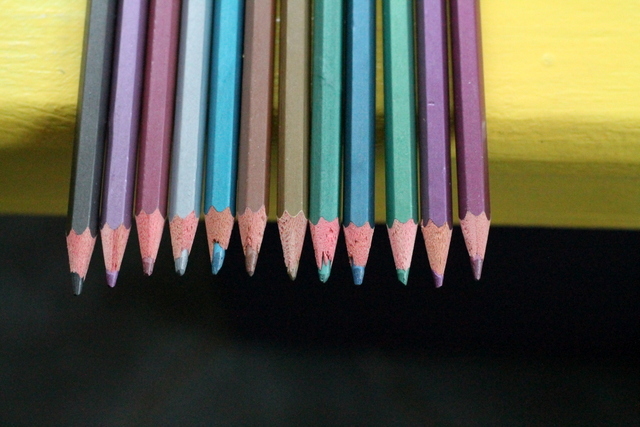 Not that that’s a reason to buy a pencil, but if you like pencils, then I think you’ll love this part. 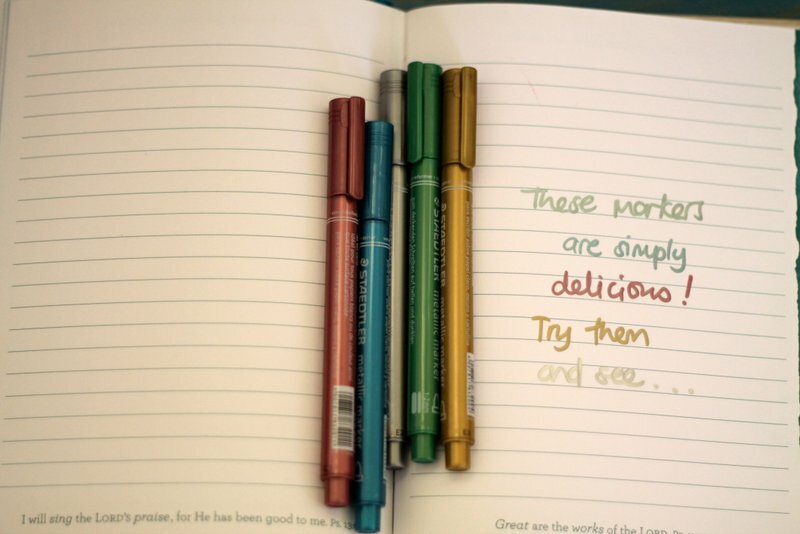 And then they write really well – dark colour, soft and smooth lead, and still strong. I bought my pack at CNA for about R25. I wrote a whole post on these and I still love them, so read all about them here. 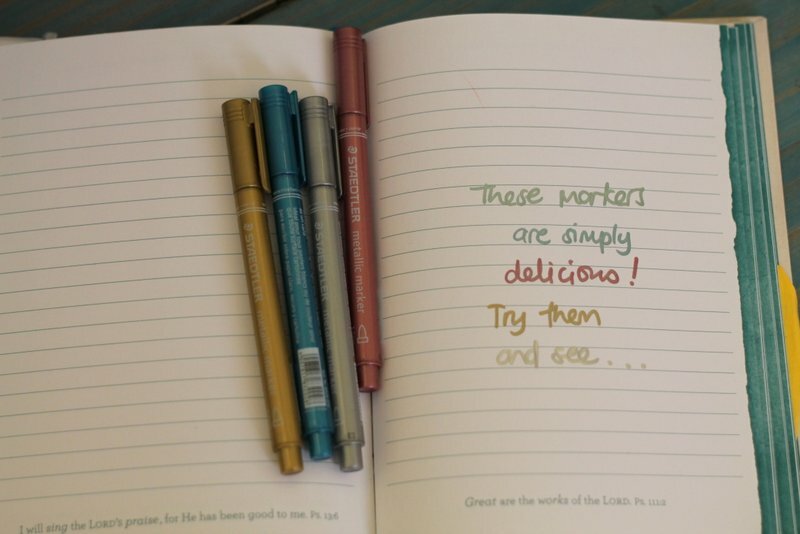 I see people colouring with these pens but I use them for normal writing of lists in notebooks and in my diary. My favourite part? 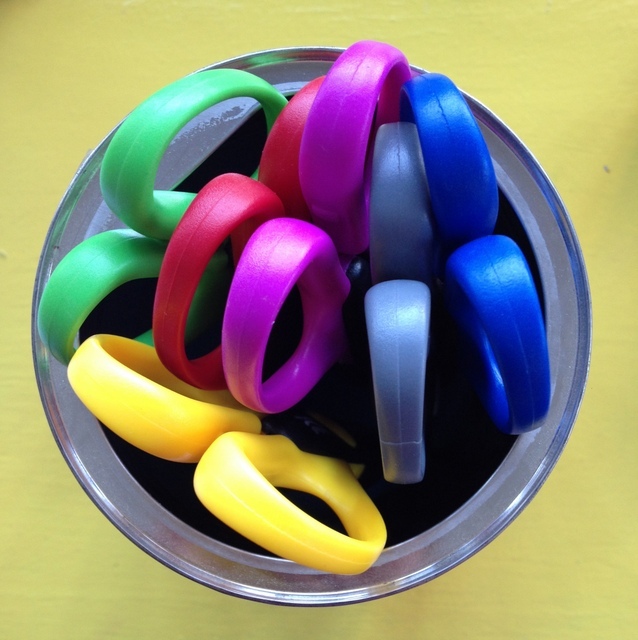 All the bright colours…. and apparently they’re dry safe. I don’t know if that’s true but I’m not taking a chance. I wrote about these too before and they are still one of my favourites. I “play” with the kids when they draw and craft, and I doodle with my metallic markers, make cards, etc. I found these recently at Pick and Pay on sale for R20 a pack – a bargain, I think. 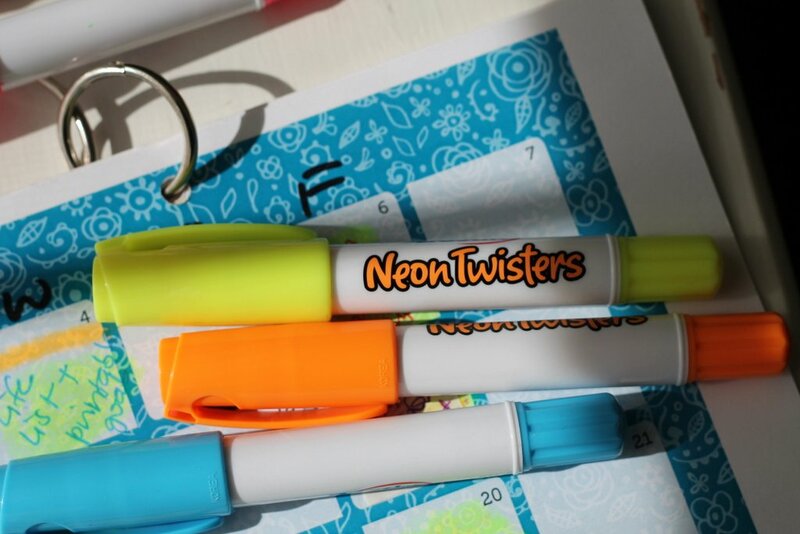 Tell me, what are some of your favourite stationery finds? I’ve always loved stationery and they love it too. I think because of that I like to buy new things “for the kids” 😉 If I like the stuff, we keep buying it; if not, we move on. We received our first pack of these (12-pack) at the end of 2012 and we have about 6 left that still work. These things never go dry. The big packs cost R70 at Pick and Pay and are WELL worth it. 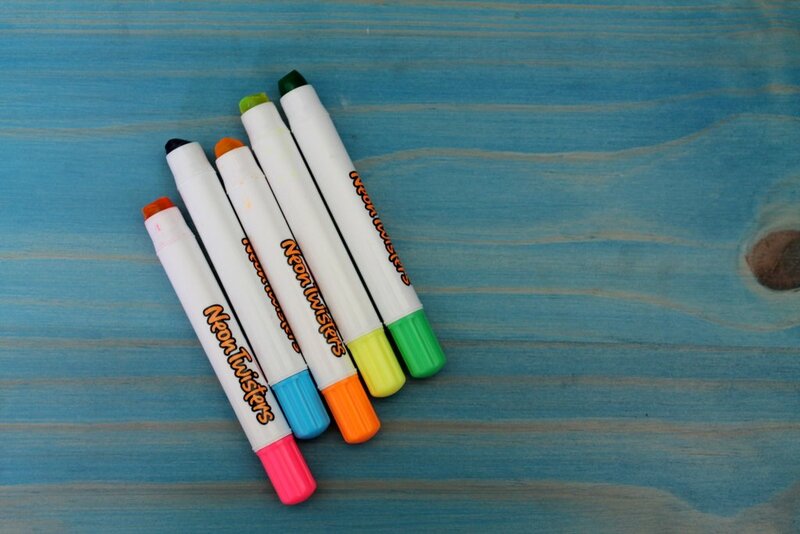 I tell everybody to not waste time with any other markers – buy a big pack of these. Obviously the packet is long since in the bin but because we’ve lost/ dried some of ours, I saw these small packs of 6 at CNA the other day for R20 each. A bargain. Go get some! I discovered these about three years ago and guys, the heavens sang. They are delightful to use – soft and so easy. You won’t want to stop. I love that they’re nice and wide for little (and my) fingers and they come in a box with a pencil sharpener which I appreciate. They’re R17 a box and if I give a colouring book for a present, I usually add one of these boxes too. 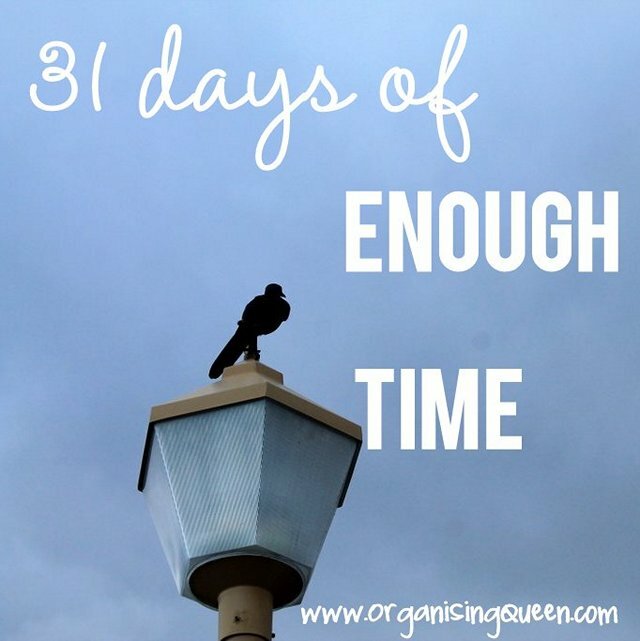 Go get yourself a box – and come tell me how much you love using them. 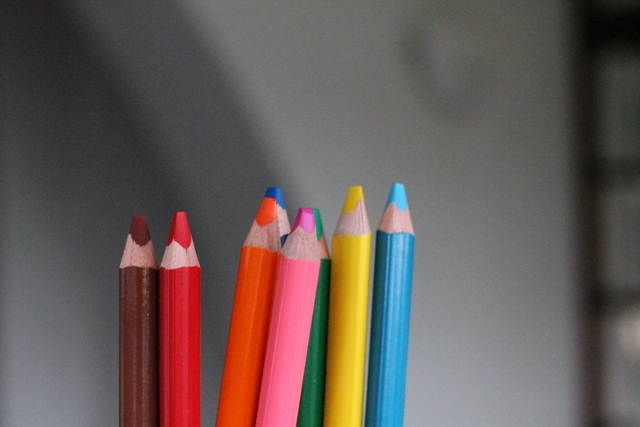 We’ve had fancy pencil crayons (Melissa and Doug), and everything in between, and these are the ones my kids love the most. My one and only gripe is that they only come in boxes of 8. 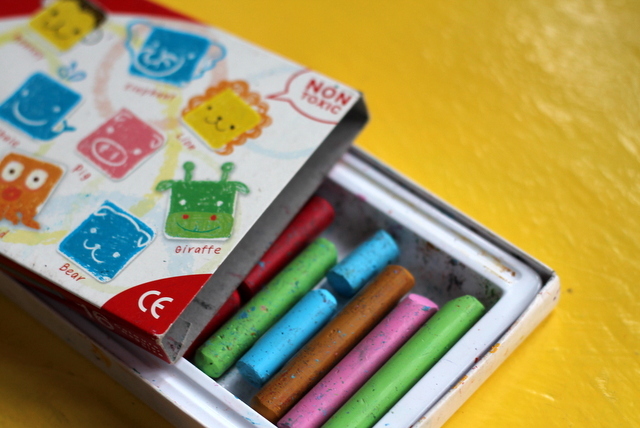 My kids aren’t fussy about these crayons – they like any brand. I’ve bought sets of 8 in a pack and bigger packs like these – they like them all. This set has gold, silver crayons too which particular delighted my two. You need to put strong boundaries in place because my children like to twist the entire crayon out, the crayon breaks and then you can’t roll it back in again. I’ve only ever seen these Marlin ones at a small stationery shop in an even smaller shopping centre. I bought my box for R12 which was a mistake because next time I went back they were about R30. 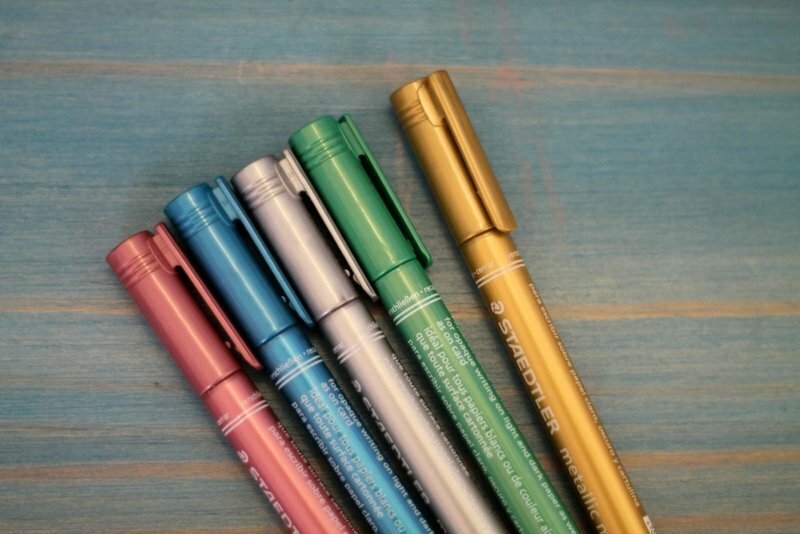 These go very nicely with the metallic markers from Staedtler or Rolfes. 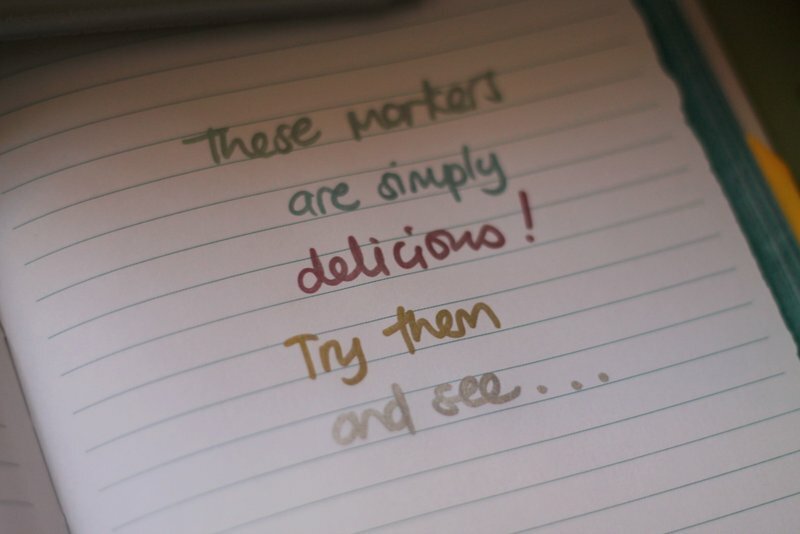 Remember you can buy a pad of black paper or cardstock and suddenly the world is a happier place because you’re writing in fun colours that stand out so beautifully on the dark paper. Now you can see I can talk about stationery all the day long. Would you like me to do more posts like this? I do have one more planned for kids – a part 2 to showcase some more stuff we love and basically how I keep them entertained a lot of the time. And maybe one with MY favourite stationery 🙂 We might need a part 1 – 3. Ha! 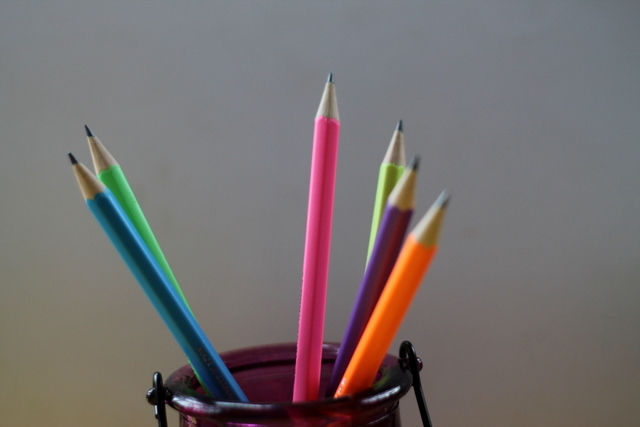 What are your kids’ favourite stationery? 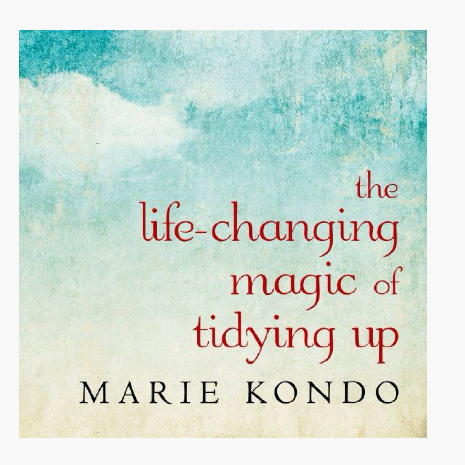 Guys, next week I’m writing about MBTI and Konmari, and I can’t wait to wrap up the series. 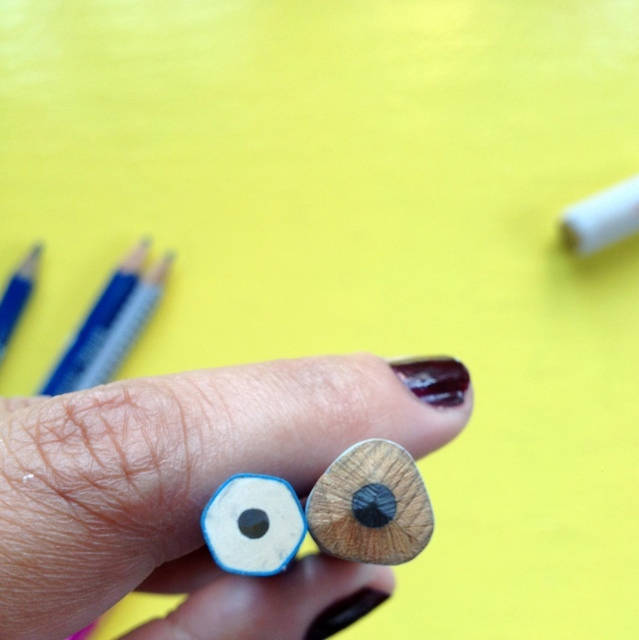 So today I decided to show you a gorgeous stationery find. 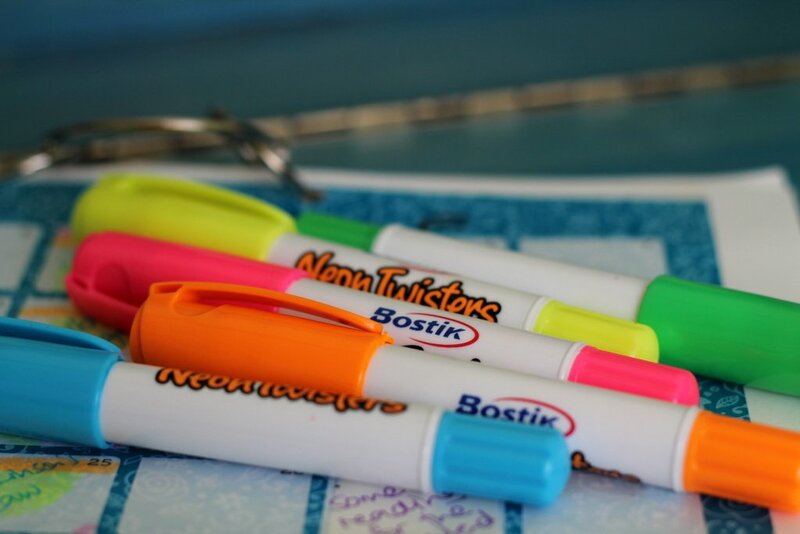 I do have the gift of spotting anything new and funky in the stationery aisles…..
I’ve shown you Rolfes metallic markers before; these ones are from Staedtler. 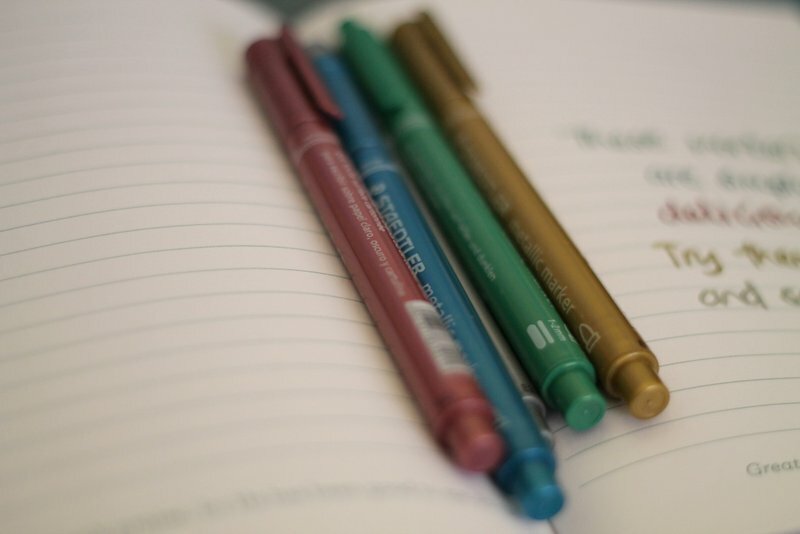 I like the Staedtler ones more because they seem to have a thinner point (but both are 1.2 mm) but my 6-year-old, Kendra, still loves the Rolfes ones more (maybe because the pink is sparklier?). 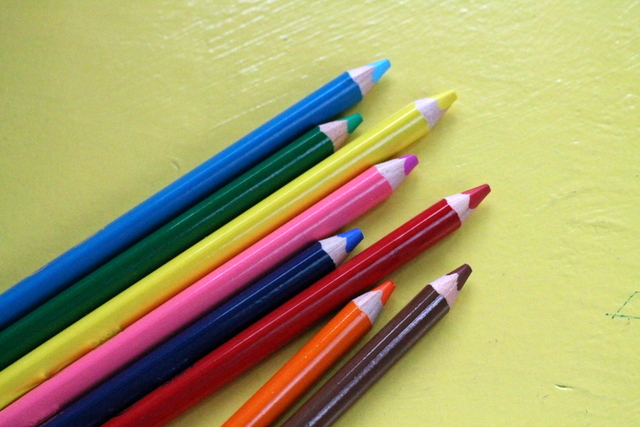 Marlin’s metallic pencil crayons (I found mine in a tiny, tiny stationery shop but I haven’t seen them at the bigger retailers yet) – I posted a pic of them on Instagram here. If we use A4 project board, I simply fold them in half but if we use paper, I fold them in half twice. The paper is easiest to draw on with the pencil crayons. Depending on your kids’ creative styles, they might want more or less space to create.